Whether you’re playing Pokémon GO in an area where it’s been released on Android and iOS, or playing it via the game’s APK file in an area where it hasn’t, you might be wondering about how to improve the CP, or combat points, of your Pokémon. Just how do you boost this stat? 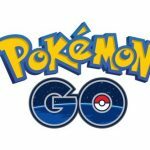 We’ll get to that soon enough, but for the benefit of those who have yet to see what all the hype is about, Pokémon GO is a new game from Niantic that allows you to hunt for virtual Pokémon, but not while holding up your phone and interacting exclusively with what you see on the screen; instead, those virtual Pokémon will be outside, at your nearby parks, malls, or attractions, all thanks to Niantic’s use of augmented reality and GPS tech to drive the game’s key mechanics. Having given you that quick run-through on the game, we shall now answer most, if not all the questions you may have about your Pokémon’s CP, and how to make that CP better. So read on as we now bring you this CP-oriented Pokémon GO strategy guide, where we talk about evolution, power-ups, and general ways in which you can improve a Pokémon’s CP. 1. Why Are CPs So Important? Combat points, or CPs, serve as your Pokémon’s main rating. But you may be wondering where CP is most important, and why you should be so concerned about it when playing the game. The simple answer would be gym battles – CP would play a huge role in the gym scene, as battles typically get decided based on the gym who has the most combat points. That means you should do whatever you could to improve the CP of any and all Pokémon you’ve already caught, and we’re here to show you how. Stardust is the very first thing you need if you want to power up a Pokémon. Fortunately, Stardust is not a Pokémon-specific commodity, which means it comes in only one variant, and can benefit all Pokémon regardless of type or element. You earn Stardust whenever you capture a Pokémon, and once you’ve got enough of it, you can use it to power up any Pokémon, thus leveling them up and boosting their CP. In most games, unlocking a duplicate of something you already have is not considered a good thing. It’s considered wasteful, and counterproductive to the all-too-common goal of collecting things in a mobile game. But in Pokémon GO, there is a definite upside to getting a duplicate Pokémon of one you already have. Regardless whether you’ve got a new Pokémon or one you already have, you’ll still be getting Stardust, and those duplicates will also give you Candy, which we shall be revisiting next, as it’s arguably more important than Stardust as a resource. 4. Why Do You Need Candy? Good question. Candy is another in-game resource that you should be trying to gather as much of, and you’ll need it so you can evolve your Pokémon. And you’ll need much more Candy to evolve a Pokémon than you’ll need Stardust to power them up/level them up. And unlike Stardust, which can be used on any Pokémon, Candy is Pokémon-specific. You’ll need to gather a certain type of Candy for a certain Pokémon, and the only way you can do this is by catching duplicates. So don’t be upset if your Pokémon GO endeavors “only” yielded a dupe of a creature you’ve already collected, as those duplicates mean more Candy. Once you’ve evolved a Pokémon, that will knock them back to their original level. At that point, they will most likely have a higher CP than they did before the evolution, but the CP may be lower if they were just recently powered up. Also keep in mind that you can use the same Candy type from a non-evolved Pokémon to do a second (or third, or fourth, and so on) evolution on a Pokémon you’ve already evolved. It may not always be the easiest decision to make, but there will come a time when you have to get rid of surplus Pokémon so you can add more powerful ones to your roster. In order to ditch a Pokémon, go to their profile page, move down to the Transfer button, and hit that button to perform the transfer. That will permanently send them to the Professor, and you won’t be able to get them back again, but the good thing is that you’ll win one of the Pokémon’s candies. Keep “recycling” unneeded Pokémon if you want to ramp up on your candy supplies. 7. To Power Up Or To Evolve? We’ve talked about powering up a Pokémon, and we’ve talked about evolving one. But should you power-up a Pokémon then evolve it, or do it the other way around? It really wouldn’t matter at the end of the day, so you can simply go with one over the other in order to fit your needs. The CP won’t change no matter which action you had initially performed. There is, however, a significant downside to evolution that may also be an upside. Evolving your Pokémon would reset their skills and reassign new ones to them, and that could mean a Pokémon getting a new skill that makes them much better, or a Pokémon getting a skill that isn’t at all satisfying to use or to have. You don’t want the latter thing to happen, as it simply means you’ve wasted your Candy. So how can you avoid such a scenario? If you want to win in gym battles and really feel like your efforts have paid off when trying to improve your Pokémon and their CP, you can try evolving them first, then powering them up if they’ve got skills you like to use or skills that make them more useful. It would all depend on the Pokémon and on what happens after you’ve tried to improve their CP. If you’re trying to save some time while trying to evolve one of your Pokémon, all you need to do is to revisit the area where you had caught it. Chances are you’re going to find more of that same Pokémon, so keep catching those duplicates in that same area. This is especially true if you’re trying to evolve a common Pokémon, though that doesn’t mean finding dupes of a rare Pokémon is impossible. You may be able to find those rares a second time around, though they will usually show up at random, possibly when you least expect it. Additionally, you should remember that your trainer level is another important variable when determining whether your attempts to improve a Pokémon’s CP are, or will be worth it or not. For a simple example, consider that evolving a Pokémon when your trainer level is 14 will be much better than evolving the same Pokémon while you’ve got a 7 trainer level or lower. The amount of Stardust needed to power a Pokémon may vary on a case to case basis; some may require more of it, while others may require less of it. In most cases, Pokémon won’t need as much Stardust if they have a lower starting CP, and the required amount of Stardust per power-up will progressively increase as their CP does. Even if the required minimum Stardust per power-up will go up alongside a Pokémon’s CP, you can optimize your Stardust usage by powering up a low-level Pokémon and getting them to a higher level. A Pokémon’s Hit Points, or HP, are another key variable you should keep in mind when powering them up. More HP on a Pokémon means they’ll be sticking it out longer in the gym battles, as that allows them to take more hits. As usual, evolve and power-up these Pokémon while their CP goes up. Yes, it is possible to increase a non-evolved, common Pokémon’s CP level to something substantial. You can make them far more powerful than they originally were. But when comparing their CP level caps to those of evolved Pokémon or rarer ones, the cap of the non-evolved Pokémon will always be much lower. If you want to check a Pokémon’s CP level cap, take a look at the half-circle-like bar located on top of the Pokémon’s profile. Once the gauge is filled up, that means they’re already at their full CP potential, and that you should work on improving the other Pokémon in your lineup. 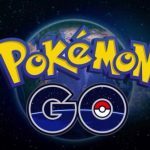 Need more tips and tricks for Pokémon GO? We advise you to head over to our collection of hints, which covers different aspects of the game.